Xolo Era 2X or ERA2X Network ways or no network hardware solution. 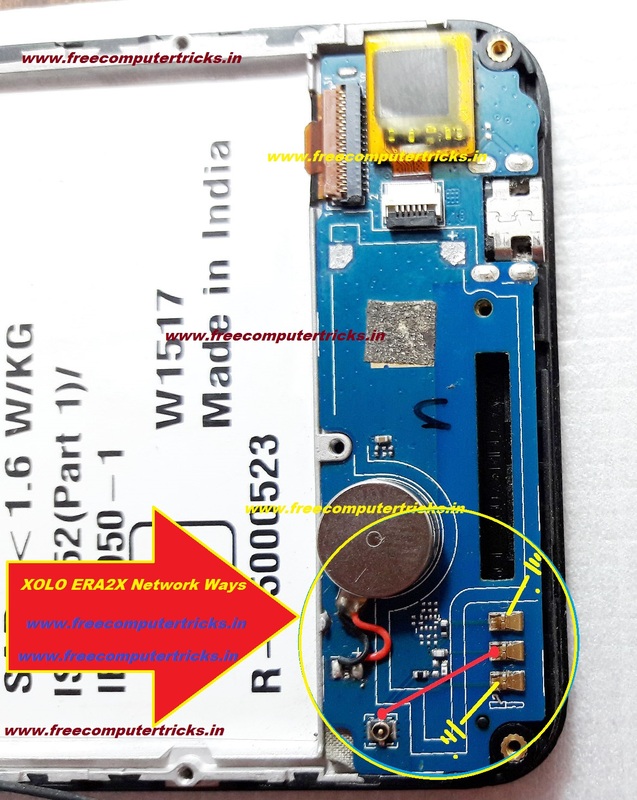 In this topic you will find the complete network ways, antenna ways or jumper ways for Xolo Era 2x Android phone. 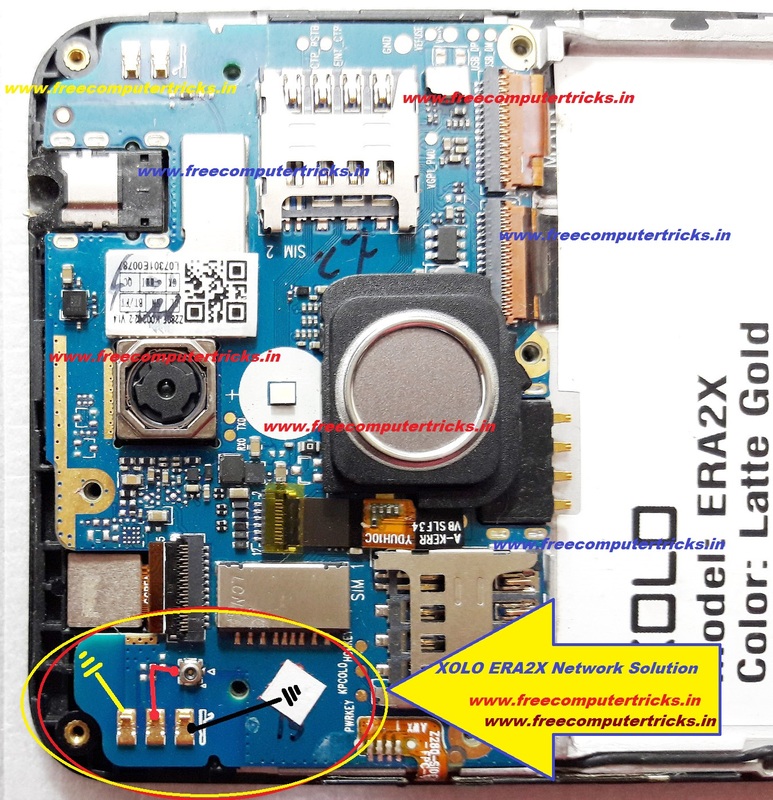 If the phone has no network or error while searching for network or no network found or emergency calls only or failed to connect to network or unable to register on network, then this topic will help you to find out the solution for the network problem on your Android smart phone for the model Xolo Era2X. 1) Please check the connectivity to the antenna pin/connector as shown in the images below. 2) Then check the network cable. 3) Then check the external antenna flex. 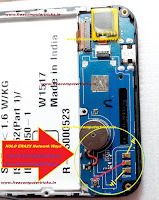 As shown in the above images, please check the connectivity, if the connection to the external antenna flex pin is not OK then apply jumper and the network problem of Xolo Android smart phone will solved.